ZCCA was invited to present at meeting by MBDA on Dec. 7th. 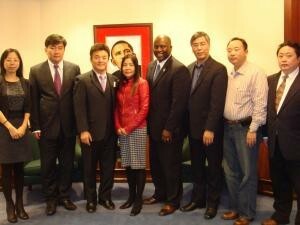 Empire State Development Executive Direction Dean E. Bennett, the president of American Chinese Import& Export Association, and the vice president of ZCCA Mr. Wu etc. also presented at the meeting. The purpose for MBDA holding this meeting is to build relationship with Federal Ministry of Commerce, helping expand and develop minority enterprises to strength American economy. MBDA wanted their minority enterprises to know more about Chinese enterprises through ZCCA, so they built good relationships with ZCCA and made Chinese enterprises more influential.